Chose from our wonderfull collections of Murano Glass items. Get wonderfull gift ideas for any ocasion and make sure you'll bring a smile on your beloved ones faces. 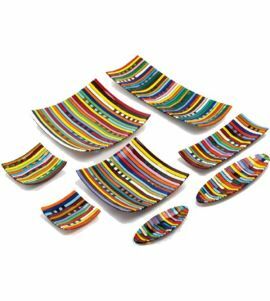 At Murano-Store our stunning range of Murano glass dishes is an elegant and colourful collection made up of traditionally produced, beautiful objects. 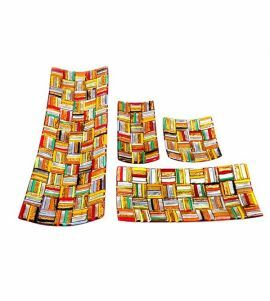 Murano glass is renowned the world over by those with the most elegant taste. The techniques applied by Murano glass craftspeople are used for making some of the finest handmade glass objects found anywhere on Earth. 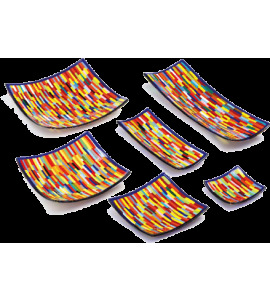 A wide selection of Murano glass Plates, Dishes and Trays. 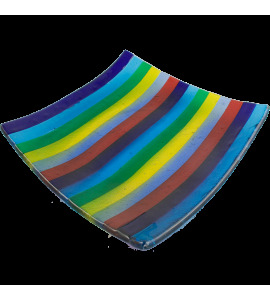 The products we offer are derived from a careful selection of different processes typical for Venetian Glass Art. Here you will find an impressive collection of plates with colors and shades that adapt to the new styles and trends of contemporary design without forgetting the nuances of the classic style and the reason why it is so appreciated. Glass making has been carried out on the Italian Island of Murano, near Venice, for almost 800 years since the 11th century. Craftsmen have passed on their skills to the generations below and today there are many varying methods of Venetian Murano glassmaking techniques, producing stunning objects which are each works of art. 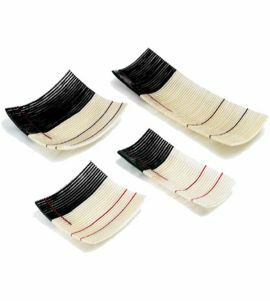 The collection includes concave glass trays in a selection of sizes which are suitable for storing odds and ends or for filling with potpourri, food, or leaving empty as an ornament. 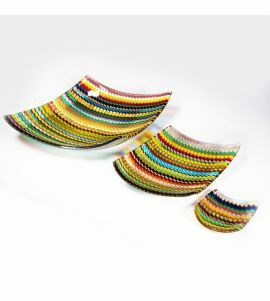 These trays have been artfully created using the Fusion glassmaking technique, where different pieces of coloured glass are skillfully fused together. 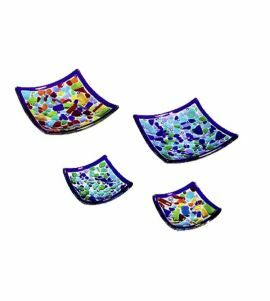 These Murano glass dishes have been made in a range of eye-catching patterns, using bright colours for full effect. Those with exquisite taste choose Murano Glass objects for their home, in order to add an assured touch of enduring elegance. 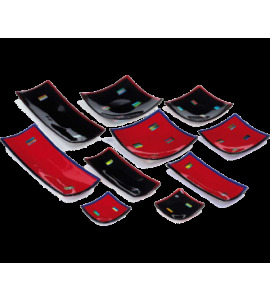 Buy now your favorite Murano glass dishes! MuranoStore.com Is the Internet Retail division of SKYGLASS, an Italy based company located in Murano (Venice), Italy which has been family owned and operated since 1998. 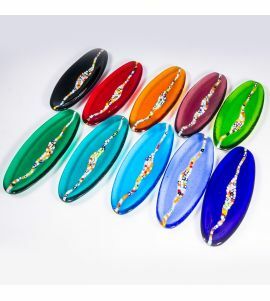 We offer premium murano glass designer art and objects at the most affordable prices.